Guide your visitors to their articles, in 3 steps. 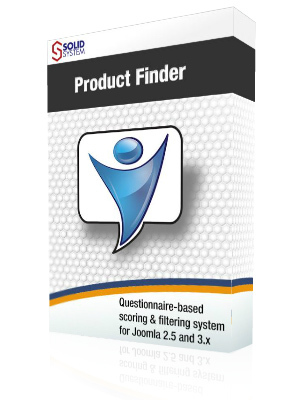 Product Finder is a questionnaire-based scoring and filtering system for Joomla. You decide if the question requires one answer, multiple answers or if can be skipped. Product Finder features an intuitive point & click rules editor. You choose if an article is recommended, required, disallowed or irrelevant when a certain answer is given. You are ready to go. And yes, it looks just like an App. Product Finder interface is built upon jQuery Mobile, to be natively compatible with modern mobile devices. 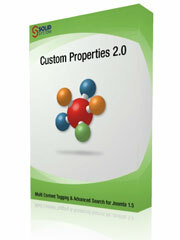 Custom Properties is a Joomla! Extension for creating and assigning custom properties to articles and other content items. Your custom properties become tags to be displayed under the article or as a tag cloud or as menu item. Using the CP search module articles can be searched by combining more criteria. The idea is to categorize content in a way that's mimics how the brain works. We focus on producing reliable software to your specifications. We modify, customize or build from scratch templates, components, modules and plugins for the popular Joomla! CMS. Installation, configuration and maintenance services for servers and networks in Linux and Windows environment. 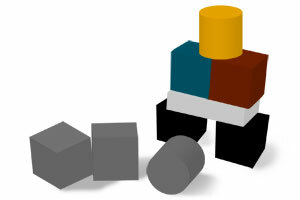 Solidsystem makes static, dynamic and CMS-based websites. 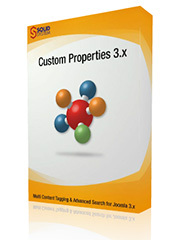 Custom Properties for Joomla 3.x is ready. 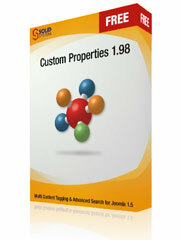 We are glad to announce that the new version of Custom Properties for Joomla 3.x is available. 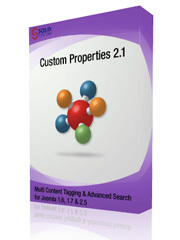 Custom Properties 2.3.4 for J2.5 released today adds a new module to the package: Custom Properties News Show. The module displays articles or other content items that have been tagged with CPTags. Module parameters set which articles to display and how they have to be formatted. 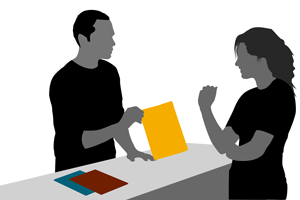 We're confindent you'll find this module a valuable and flexible tool. Foreword: backup, backup, backup. Before starting the upgrade process you should make a backup of your site and DB so that, in case the procedure fails, you'll be able to restore your site to a working condition. The goal: We have two CP search modules. We need to have results printed with "Title + HTML intro" when we search with the first module and with "Title only" when we use the second one. So you have a Joomla 1.5 website with Custom Properties and you want to upgrade to Joomla 1.7, but you are unsure about upgrading, fearing you could lose all your work. Well, it turned out that upgrading, with the right tools, is not that traumatic.